The city is also taking into account the youngest child in the family and aiming to provide entertainment that suits everyone. For this reason, all the fashionable shops in the neighborhood of Valencia, are offering a variety of programmes like recycling workshops, painting, concerts, games and a broad list of activities that will turn Ruzafa into a lively town during 4 days. Ausias March International College offers to students a full immersion in the city and local culture. Being part of Spanish Federation of Schools of Spanish as a Foreign Language in the Region of Valencia , this school is taking us throughout the city in a festival that brings more than 200 family´s activities to enjoy. 75 shops along the neighborhood will be opened on a bank holiday (from 4-8th of December). Hairdressers, art galleries, pharmacies, restaurants, bars and disco places will be fully open for the occasion. Let´s make the street ours!!! 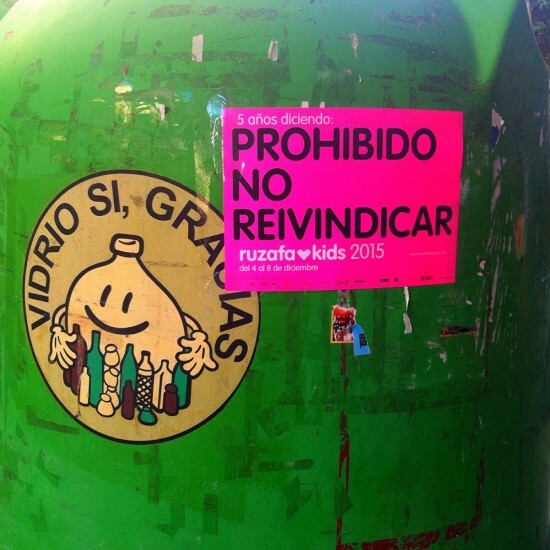 Ruzafa loves kids, was born to transform for a few days, public places in the city taken by cars into a friendly area for pedestrians in the neighborhood. 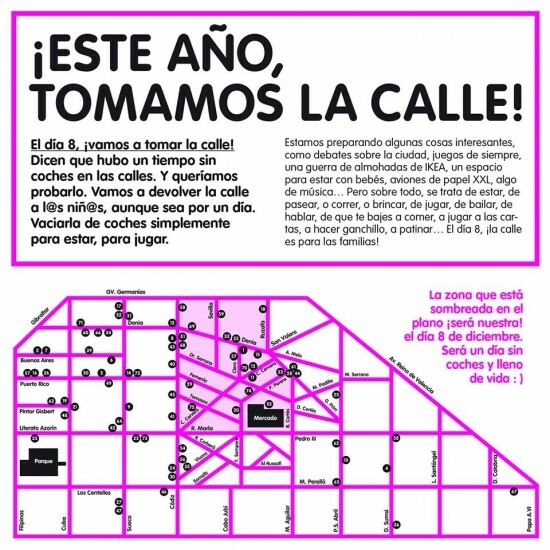 This initiative, welcome by the locals, reaches now it´s 5th edition filling the streets and most fashionable districts, with games, workshops and leisure programmes for everyone´s enjoyment. At Raquel Carnero Workshop Gallery you will find numerous workshops related to visual art such as bottles and sensorial boxes created by Montessori method, watercolors, clipboards, cookies decorating … At Arquilecturas studio, the classes will be mainly focused on the architecture in the neighborhood and architects such as Mies van der Rohe and Le Corbusier. Lokita Botones, will offer a binding workshop and a crochet one will be available at the Fil de Russafa. There will be something to do for everyone´s taste. On Sunday the 6th at Berlin Café, you will be able to enjoy a classical piano concert throughout the day. Ruzafa Coworkshop will offer workshops of clay modeling, African drumming, and storytelling. At Obsolete, you will learn how to design and decorate a skateboard, best way to leave the shop with your own one completely customized. At the 3 Sillas, you can learn how to make puppets from recycled materials … endless proposals can be found here. Furthermore, on the last day, 8th of December, 8 main streets in different neighborhood of Denia, Seville, Ruzafa, Doctor Serrano and around the Municipal Market will be closed to traffic. These 8 streets will be taken by classic games like war pillow, skating, dominoes, Sambori, etc… There will be special area adapted for babies, as well as designated areas for picnic, street debates and much more that will make of the city a livable place for the families and a magic way to finish this unique festival.